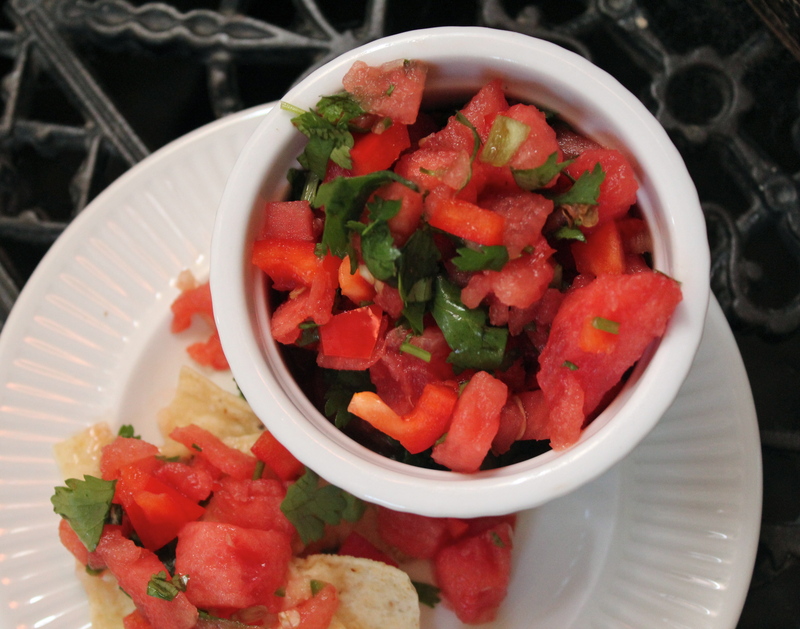 Chop watermelon and red pepper into small cubes and combine with chopped onion and cilantro in a medium bowl. Mince jalapeno and garlic and add to bowl along with juice from half a lime. Mix well and salt and pepper to taste. Drain excess juice if its too watery before you serve.